Three floors dedicated to cocktails and a specialist liquor store, TT Liquor in Shoredtich converts a 19th century police station (complete with historic jail cells, still seen within the bar) into a drinking den with an intimate subterranean cocktail bar. Focussing on tasting experiences, cocktail classes take place in a range of lounge spaces on the upper floors (accommodating up to 170 guests), and padlocked 'deposit boxes' are also available for hire so guests can keep private liquor collections at the venue. 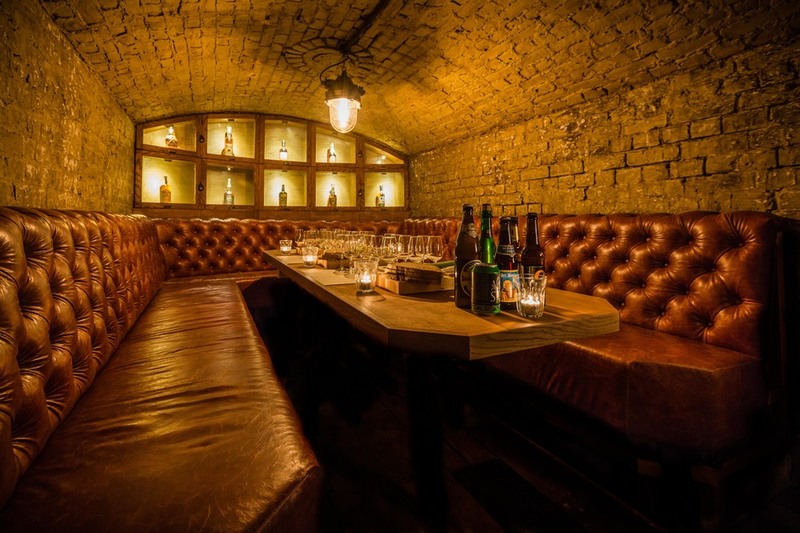 Take classes on whisky, rum and gin, as well as local and worldwide beers and you'll get access to the jail cells with room for 10 to 15 people in each vault. Enter the street-side liquor store, on Kingsland Road, and you'll be greeted by a knowledgeable storekeeper who'll guide you through a selection of over 1,000 liquors. TT Liquor clubs, bars, cabaret nights, casinos and interesting nightlife. What are the best dining options near TT Liquor London? TT Liquor gyms, sporting activities, health & beauty and fitness. The best pubs near London TT Liquor. Where to have your meeting, conference, exhibition, private dining or training course near TT Liquor. From cheap budget accommodation to luxury 5 star hotels see our discounts for TT Liquor hotels, including Ace Hotel London Shoreditch from 85% off.